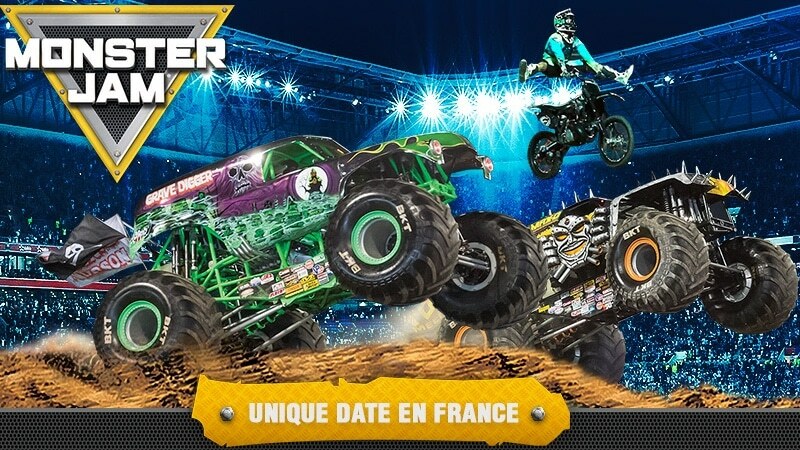 The famous and popular motor sports show Monster Jam is on a European tour in Spain and France and will make its only French stop in Lyon at Parc OL on June 24. Featuring: Grave Digger (Charlie Pauken), Max-D (Neil Elliott), El Toro Loco (Becky McDonough), Pirate’s Curse (Steven Sims), Alien Invasion (Chad Tingler), Monster Energy (Coty Saucier), Scooby-Doo (Myranda Cozad), Monster Mutt (Cynthia Gauthier), Zombie (Bari Musawwir), Blue Thunder (Alx Danielsson). Want to see what a Monster Jam show looks like? Monster Jam Show: 3 pm – 15/65 euros (12/52 euros for children under 18 year-old). Paddock Party: 10.30 am to 1.30 pm – 7 euros (5 euros for spectators under 18).